Kevin Pelletier was convicted of several offences related to his involvement in a beating and shooting. He appealed his conviction and sentence; the appeal was dismissed: 2012 ONCA 566. The relationship between debtors and creditors is common to both licit and illicit commerce. Debtors owe. Debtors are expected to pay. Creditors are owed. Creditors expect to be paid. 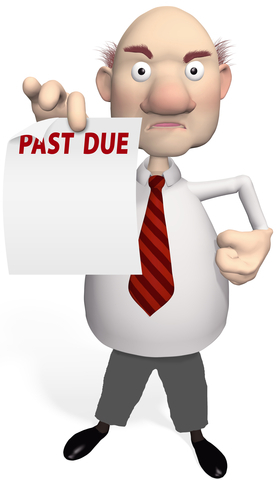 Some debtors pay their debts on time and in full. Others lag behind and require reminder or encouragement to discharge their obligations. The methods used to remind debtors of their obligations and to encourage repayment vary. Some follow conventional methods. Others take different approaches. In this case, some drug purchasers fell behind in their payments to their suppliers. To remind them of their indebtedness and to encourage repayment, their suppliers shunned dunning letters and threats of litigation in favour of a more direct approach: a baton and a handgun. A judge found Kevin Pelletier (the appellant) guilty of several offences arising out of his role in a beating and a shooting, about a week apart, of two drug purchasers who got behind in their payments. The appellant says that his convictions were flawed because the judge at his trial didn't take sufficient care in assessing the reliability of evidence of disreputable characters and untrustworthy eyewitnesses in reaching his conclusions of guilt. The appellant also contends that the sentence imposed by the trial judge was unfit because the judge failed to take into account that the appellant is Aboriginal [paras 1-5]. Watt JA writing for a unanimous Court of Appeal dismissed the appeals from both conviction and sentence. First, it is notorious that, absent any misapprehension of evidence or palpable or overriding error, appellate courts are to accord substantial deference to findings of fact made by trial judges. It is all the more so where, as here, the complaint reduces to an assertion that the trial judge miscalculated the weight or overvalued the reliability of evidence adduced at trial, even though it is not said that the finding of guilt is unreasonable. Second, this is not a case in which it is or could be said that the trial judge was unmindful of the need for caution in assessing the credibility of Danis and Arbour and the reliability of their evidence. The trial judge was acutely aware of Danis' antecedents and his patent unwillingness to cooperate with the party who called him as a witness. He rejected Danis' sworn testimony and took into account the several enumerated flaws in his B(KG) statement before relying on it and finding guilt established. He was entitled and pre-eminently positioned to do so. Third, as the trier of fact, the trial judge was entitled to rely on Danis' B(KG) statement, even in the absence of confirmatory evidence, as a basis upon which to record a finding of guilt. No rule of law requires confirmatory evidence of an unsavoury witness: Kehler, at para. 22. Fourth, to be confirmatory of a tainted witness' testimony, evidence need not implicate an accused in the commission of the offence. Evidence is confirmatory if it provides comfort to the trier of fact that the unsavoury witness is telling the truth; Khela, at paras. 39 and 42-43; Kehler, at para. 15. Among the items of confirmatory evidence in this case are the results of scientific testing of the semi-automatic handgun found at the bottom of the lake and the sunglasses found at the scene of the shooting. The gun was the weapon with which Guy was shot. DNA consistent with that of the appellant was found on the sunglasses. Guy identified the appellant as the shooter. Finally, the trial judge was required to consider the evidence as a whole in determining whether the Crown had proven the appellant's guilt of any offence charged beyond a reasonable doubt. This judge, aware of the frailties associated with the evidence of Danis and Arbour, did so. That was his call [paras 71-75].